We provide support for our product via email. 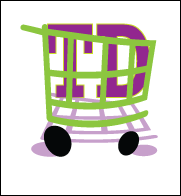 If you have questions about the product or you are experiencing a problem you can contact us at support@tdcart.com. We monitor the support mailbox from 9am to 6pm Monday through Friday and typically respond within 30 minutes. Saturday the mailbox is monitored from 9am to noon and is reserved for emergencies. These requests should include the word "Critical" in subject of the email. Non critical support requests will be responded to on the next business day. TDCart support is closed on Sunday. NOTE: TDCart uses a sophisticated method of intercepting issues during the normal operation of a TDCart store and sends an alert to the support team automatically. Typically any issues the sites are experiencing are being resolved even before an email is sent.